As a Baptist minister, counselor and retired co-owner of a pump distribution company, Larry Walker, 71, has relied on both his religious faith and business acumen to guide his decisions as a hospital trustee. 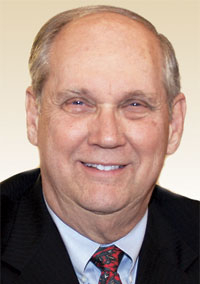 Walker, a 27-year veteran of the board of trustees at two-hospital Baptist Hospitals of Southeast Texas, “is a results-oriented leader but tempered with encouragement and his faith,” says David Parmer, CEO of Baptist Hospitals, which owns acute-care hospitals in Beaumont and Orange. For example, Baptist Hospitals chose Memorial Hermann Healthcare System, Houston, as a parent company in March 1999 after weighing offers from numerous suitors. “We wanted to be true to our mission statement and the best way to do that was to affiliate with someone who had a like mission statement, and that turned out to be Memorial Hermann,” says Walker, who has served a total of 15 years as board chairman. The Memorial Hermann merger created expansion opportunities for Baptist Hospitals. In September 1999, Baptist purchased a hospital in Beaumont from Triad Hospitals as part of a larger deal involving Memorial Hermann. After the purchase, Baptist spent two years building a 160,000-square-foot addition to the hospital, moving operations to the new space in November 2003. Walker's leadership also was invaluable in 2001 when Memorial Hermann decided to divest primary ownership of Baptist Hospitals while retaining a minority interest and clinical affiliation. Baptist Hospitals' board again chose a not-for-profit parent: Community Hospital Corp.—an organization founded in 1996 by members of VHA Southwest to help community hospitals survive as not-for-profits. The board and hospital executives also were tested by three hurricanes: Rita in 2005, Humberto in 2007 and Ike in 2008. After Rita, the damage sustained at Beaumont was so severe that reconstruction was required. The result: a $51 million, 52-bed patient tower, which opened in 2009. About 50% of the tower was new capacity, while the remaining square footage replaced what was lost in the hurricane, Walker says. In addition to reconstruction, the hospital board and executive team beefed up hurricane preparedness with a $3 million project to install hurricane shutters at Beaumont and purchase additional auxiliary generators for both Beaumont and Orange hospitals. While the hospitals already had emergency generators, the additional generator capacity allows them to run at full electrical power during a power outage. The investment paid off when Ike struck. “Even though it hit Galveston, we ended up with the worst three cells, and we sustained 120 mph winds,” Parmer says of the Beaumont facility. Nonetheless, it remained open throughout the storm as it did for the other two hurricanes.